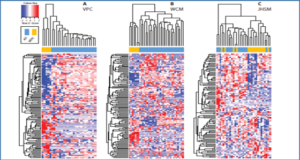 Maintenance of the pluripotent state or differentiation of the pluripotent state into any germ layer depend on factors that orchestrate expression of thousands of genes through epigenetic, transcriptional and post transcriptional regulation. 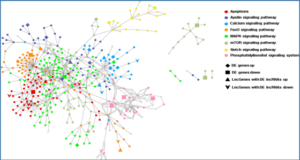 Long noncoding RNAs (lncRNAs) are implicated in the complex molecular circuitry in developmental processes. 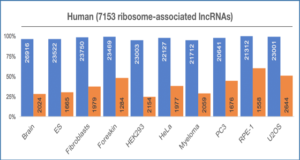 The ENCODE project has opened up new avenues for studying these lncRNA transcripts with the availability of new datasets for lncRNA annotation and regulation. 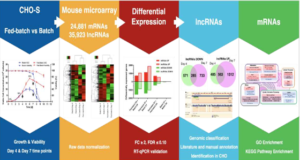 Expression studies identified hundreds of long noncoding RNAs differentially expressed in pluripotent state and many of these lncRNAs are found to control the pluripotency and stemness in embryonic and induced pluripotent stem cells or in the reverse way, promote differentiation of pluripotent cells. 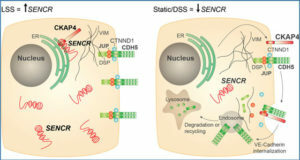 They are generally transcriptionally activated or repressed by pluripotency associated transcription factors and function as molecular mediators of gene expression that determine the pluripotent state of the cell. They can act as molecular scaffolds or guides for chromatin modifying complexes to direct them to bind into specific genomic loci to impart repressive or activating effect on gene expression, or they can transcriptionally or post-transcriptionally regulate gene expression by diverse molecular mechanisms. 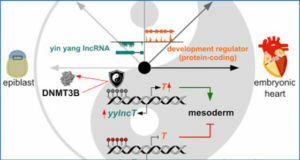 This review focuses on recent findings on the regulatory role of lncRNAs in two main aspects of pluripotency, namely, self renewal and differentiation into any lineage, and elucidates the underlying molecular mechanisms that are being uncovered lately.